Malinda Wink is Executive Director of Good Pitch² Australia, Director Policy and Impact at Shark Island Productions, and a Director of Shark Island Institute . Malinda’s professional experience spans the corporate, political and development sectors. In recent years, Malinda served as Executive Director of The Caledonia Foundation until August 2010. She then lived in The Hague and Budapest for two years completing a Masters in International Development and Public Policy with a full scholarship from the European Commission’s Erasmus Mundus program. 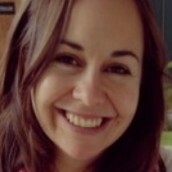 During the past years, Malinda has worked as a consultant advising on business strategy and capital raising for a number of for-profit film companies including Madman Films, Hopscotch, Transmission Films and Electric Pictures; and for the not-for-profit sector – most recently for Social Ventures Australia and its Sustainable Social Enterprise Project. Malinda has served on a number of advisory boards including the Social Enterprise World Forum and now serves on the Board of The Caledonia Foundation.